Clay Aiken – A Busy Day! In Frosty the Snowman, who brought Frosty back to life? Because of the beautiful services for President Bush, the television schedule has made many changes. 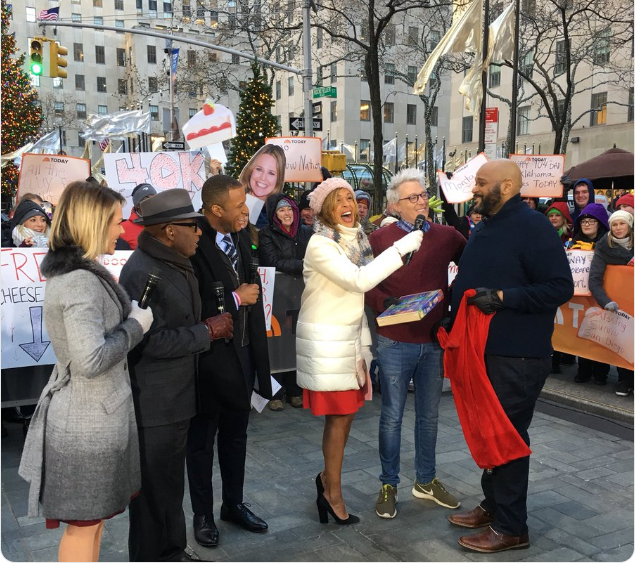 Clay and Ruben were scheduled to be interviewed on the Today show on Wednesday. Unfortunately, the section indoors was postponed. I assume that it will be shown soon on a re-run. Clay and Ruben did play “Santa’s Helpers” as they helped collect Toys For Tots outside of the NBC studios. You and a guest will get meet Ruben Studdard and Clay Aiken with two orchestra seats to Ruben & Clay’s First Annual Christmas Show on December 20th in New York City! 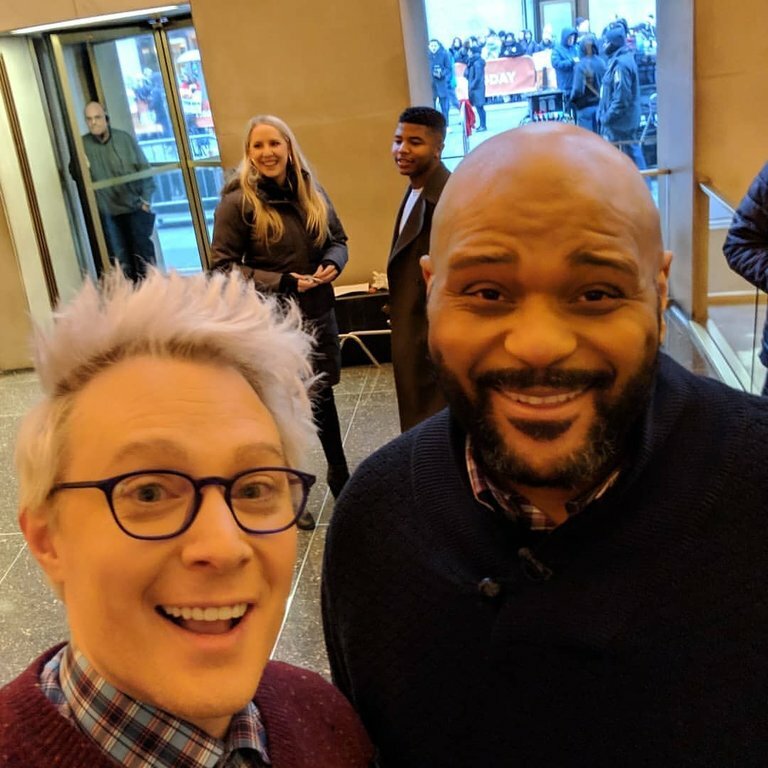 Ruben Studdard and Clay Aiken are reuniting this Christmas LIVE ON BROADWAY—to celebrate the 15th Anniversary of their record-setting American Idol finale. 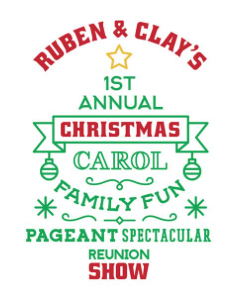 With a classic evening of songs and sketches harkening back to the days of Dean Martin, Andy Williams, and Carol Burnett, Ruben and Clay croon, quip, and create a magical setting that’s perfect for those yuletide yearnings. Enjoy an evening of holiday classics as they unwrap some of their old time favorites, some newfound gems—and even a few old grudges. Come join in on the fun, the festivities, and the fantastic performances of two of America’s favorite singers as they reunite on Broadway for THREE weeks only! 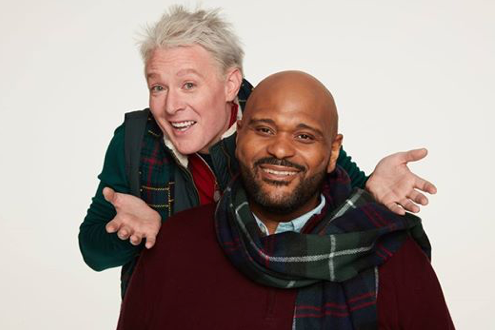 This Christmas, it’s a miracle on 45th Street: Celebrate with Ruben Studdard and Clay Aiken as they bring you a Christmas spectacular full of theatrics, music, and laughter. Because of the services for President Bush, Clay and Ruben’s visit on The View has been changed. Check it out! So…with the show happening on Friday, be on the look-out for more articles and mentions. I am sure there will be more!! What an exciting time for Clay, Ruben, their families and all of their fans! How exciting I am so happy for Ruben and Clay! They are everywhere again and it feels good to hear that everybody is welcoming them and their return to the stage and music! Hope all that are able to go to NY will have the time of their lives! I love your News Site about Clay so much! So exciting, that Clay and Ruben will starting their Broadway show tomorrow! GO Cluben!! EEEEEEEEE!!!!! So excited for Clay (and of course Ruben)!!!!!! 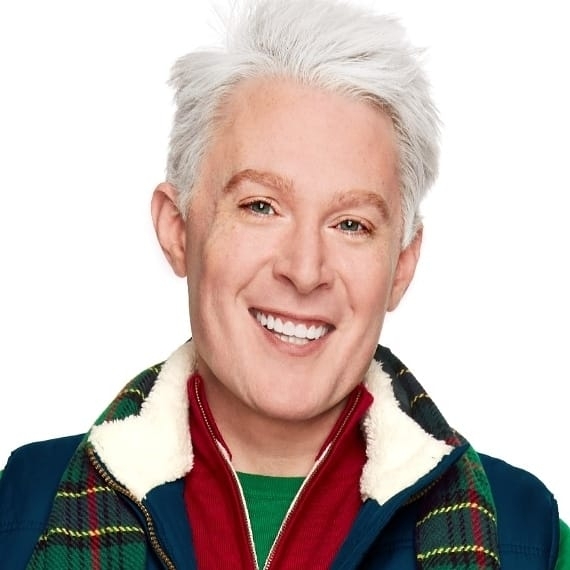 I love you Clay but the white hair makes you look like Jack Frost. Error: Error validating access token: Session has expired on Tuesday, 21-Aug-18 16:13:01 PDT. The current time is Saturday, 20-Apr-19 02:50:51 PDT.